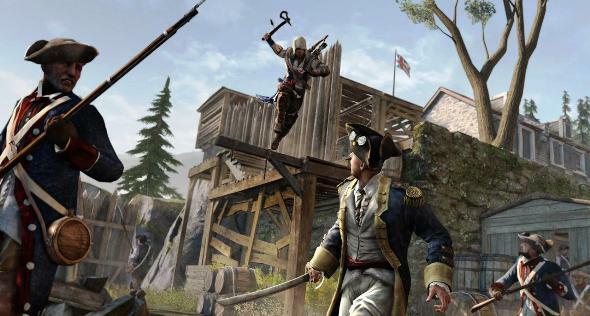 Today the developers released the new Assassin’s Creed 3 DLC "Betrayal" from the "The Tyranny of King Washington" trilogy. Ubisoft continues to tell about the alternative universe, in which Connor will have to go against the Founding Fathers. Our hero is going to Boston to find unexpected allies in the fight against the "new" government. Our hero gets the power of eagle, that allows him to fly (!) for short distances and attack using this bird’s spirit. In addition, he will have a difficult test: he have to kill a man that becomes his spiritual mentor during the war for freedom. You can download Assassin's Creed 3 DLC "Betrayal" for PC already today for $11.99, the Xbox 360 and PS3 versions will appear in the Xbox Live and PSN tomorrow. Also you can purchase Season Pass, which includes the "The Tyranny of King Washington" trilogy and even more for $35.99. Other details you can find out by yourself from a special trailer below.